Synopsis: The author of the best-selling and critically beloved Mortal Engines quartet has written a stunning prequel. Fever Crumb is set a generation before the events of Mortal Engines, when cities are just beginning to devour each other. 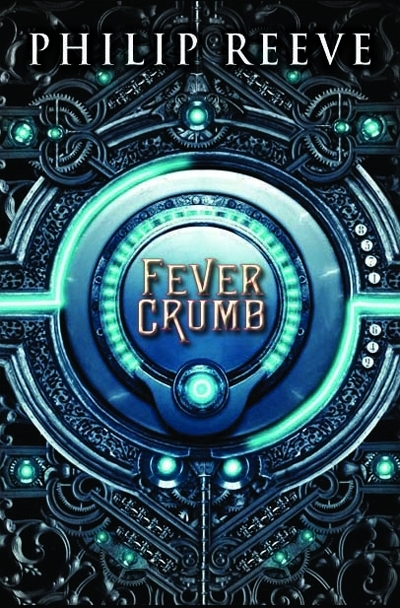 Is the mystery of Fever, adoped daughter of Dr Crumb, the key to the secret that lies at the heart of London? As with the Mortal Engines Quartet, Phillip Reeve has done a very good job of combining the fantasy/sci-fi genre with a victorian-esque feel. 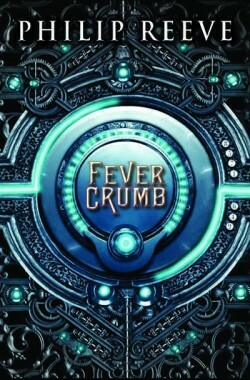 Fever Crumb is unlike any fantasy or sci-fi book I have read before; it is highly original in story, and does not follow classic fantasy roots. I found prejudice to be a larger theme in the book, although it does have undertones of love. Prejudice as a theme is not done very often, and I think Phillip Reeve has pulled it off well, and realistically. As with Mortal Engines, there is no religious philosophy. I always find that Phillip Reeve has an ingenious way of naming his characters, and he has not let us down again. He has created some unique and original names for his characters, which fit into the story very well. And as for the characters; they are just as good. The protagonist -Fever Crumb- is very intresting to read about, and her way of thinking makes me laugh sometimes… Reeve’s characters are far beyond many in originality and realism. The overall story is much more of a history than a novel; this could weaken the whole book if it had not been done properly and well, and I found that I was never bored by Phillip Reeve’s world. The descriptions and the absurdity of it all enthralled me, and I particularly enjoyed the names of the places, which were reminiscent of today’s London. I would call this book an ‘explaining novel’, much like C. S. Lewis’ The Magician’s Nephew, which is written after The Lion, The Witch and The Wardrobe, the second novel in the series. If you haven’t read the Mortal Engines Quartet, you may find this slightly odd- in need of a little explanation, which can be found in the Quartet. Once you have read the Quartet, or at least Mortal Engines, you may find you understand more, and could be a much more pleasurable read. Those who are already fans of the Quartet, will love this prequel, especially as it explains various things indepth….